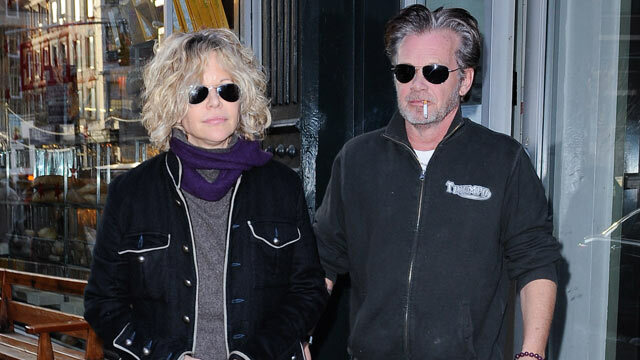 What's Behind Meg Ryan's Latest Move? Meg Ryan's latest move -- selling her Bel Air mansion -- has some industry insiders wondering if she's setting up house with boyfriend John Mellencamp. Since last year, the "Sleepless in Seattle" star has been seen sporting a silver band on her wedding finger, sparking Internet reports that she and Mellencamp might be headed to the altar. Now, with the sale of her two-story home for $11.1 million, speculation continues that Ryan may be looking to start a new life with the rock star. "Selling a home is generally a guide that there is some big change in a celebrity's life," Popeater columnist Rob Shuter told ABCNews.com. Mellencamp's rep declined to comment on the reports and Ryan's rep did not respond to a request for comment. Ryan and Mellencamp have been nearly inseparable since going public with their relationship last January, just weeks after the "Jack and Diane" singer announced his split from his wife of 18 years. The 50-year-old actress trotted the globe with the 60-year-old singer during his 2011 world tour. The pair has also been spotted numerous times in his hometown Bloomington, Ind., according to local media reports. Whether Ryan, who has a 7-year-old daughter, Daisy True, adopted from China, and a son, Jack, 19, with ex-husband Dennis Quaid, will relocate to Indiana remains to be seen. But Mellencamp and his ex, former model Elaine Irwin, have made it clear that they plan to remain in Indiana, where, his rep said in January, "they will continue to raise their children," sons Hud, 17, and Speck, 16. Mellencamp has a total of five children from three marriages. Shuter said there have been sightings of the couple in New York, as well, but he wouldn't be surprised if the pair decided to settle in Indiana. "It's not the media capital of the world," he said. "It's a place where they can have a private relationship." Shuter believes part of the reason their relationship has lasted so long is because they have managed to keep it "very, very private." "No interviews about each other, no red carpet appearances, no Twitter messages," he said. "It's for the two of them and not the public." For Ryan, selling her house could also mean the actress is ready for a fresh start. She hasn't starred in a film since 2009's "Serious Moonlight," which bombed at the box office. But later this year, she will star in "Lives of the Saints" alongside John Lithgow and Curtis "50 Cent" Jackson. She had also been slated to star in "Long Time Gone," about a housewife who falls apart after discovering her husband's affair, but she appears to have been replaced by actress Virginia Madsen. "It's always hard for a former 'it girl.' Trying to go back is never good," Shuter said. "Meg is now taking roles that really interest her. Everybody loves Meg. But I don't know if her audience will be able to move on from that pretty girl in 'Sleepless in Seattle.'" For now, her fans seem happy she has found love again. Ryan's relationship with Mellencamp is her first serious one since her 2001 divorce from Dennis Quaid, which reportedly came after a brief but public fling with Russell Crowe. While the rock star and the actress may seem like an unlikely pair, Shuter said Mellencamp is definitely Ryan's type. "She's always had a thing for famous guys," he said. "We all think of her as America's sweetheart. But she likes these guys who are little rugged, not clean-shaven and they certainly don't moisturize."